London City Philharmonic was founded by Olsi Qinami who is the Conductor & Music director of the Orchestra and founding member Chiawen Kiew. 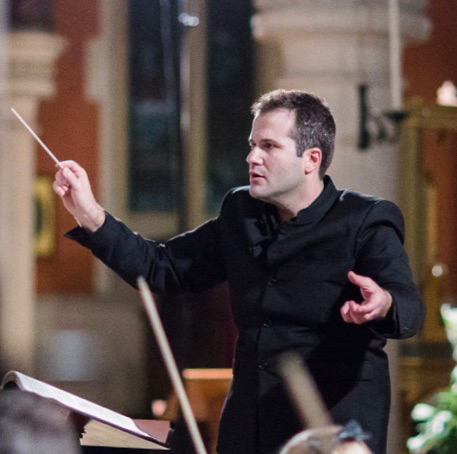 The London City Philharmonic is a newly founded orchestra that is dedicated to the exposure of works by lesser known composers (living or deceased) and providing budding composers an opportunity to have their works performed. The London City Philharmonic does this both through concerts that combine lesser known works with more established repertoire, and by recording rarely performed works for posterity. In doing so, the London City Philharmonic supports the musical community by providing performance opportunities to musicians, bringing to light lesser known works, and making such works more approachable by complementing such works with pieces that are familiar to the broader public. Olsi has collaborated with many orchestras and soloists including soloists from the Vienna Philharmonic and orchestras such as: Norwegian Radio Orchestra, National Opera of Albania, BBC Singers, Orchestre Opera de Massy, London Classical Soloists, Orchestre de Chambre de Versailles, University of Arts Philharmonic Orchestra of Albania & Macedonia National Opera Choir, and many others. In 2015 he was awarded the 2nd prize at the International Conducting Competition with the LCS Orchestra in London. Olsi studied conducting at the “Academy of Arts” in Tirana, Albania. He continued his Conducting Studies in France with Dominique Rouits at the Paris Conservatoire “Ecole Normale de Musique de Paris”. He actively participated in master-classes and lessons with, Paavo Jarvi, Ricardo Muti, Johannes Schlaefli, Jorma Panula, Alexander Vedernikov, Maurizio Arena, Howard Williams, Mark Heron, and others. Finnish-born Alina has been playing the violin since she was five. She held her first solo recital at the age of 14. She took her degree in music education at the North Karelia University of Applied Sciences in Finland under the guidance of Dr. Tapani Yrjola, and studied her Master Degree at the Royal Academy of Music with Diana Cummings and Erich Gruenberg, graduating in 2011. Alina has attended many masterclasses by famous violinists, such as Jack Liebeck, Hu Kun, Almita Vamos and Rodney Friend. She is a member of FeMusa String Orchestra, London Arte Chamber Orchestra and Collaborative Orchestra, and done successful tours to Oman, Azerbaijan, France, Hong Kong, China and Germany. Alina is currently the first violinist of Konvalia String Quartet, and has worked professionally with the Joensuu City Orchestra in Finland and Ulster Orchestra in Belfast. In 2015 she was a member of the Southbank Sinfonia in London and has continued to work with them on numerous occasions.